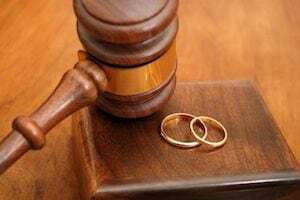 Every state has different requirements on how a divorce is to be completed, but every state does require a judge to review and approve the divorce settlement. If the spouses are unable to come to an agreement on the settlement, the judge will then also decide how property is divided and how parenting time will be shared if children are involved. There are many areas of a divorce, and having a knowledgeable family law attorney is critical in a divorce settlement. We will cover a few common divorce topics in the sections below. In Texas all income earned and property acquired by either spouse during the marriage belongs to both spouses equally. Spouses have what is called community property, which is defined as any property that either spouse acquires during the marriage, except separate property. Exclusions do apply, for example if the couple has a prenuptial agreement. A prenuptial agreement is an agreement between prospective spouses made in contemplation of marriage. in most cases, prenups control the division of property, such as land, buildings, retirement accounts, and automobiles. Prenuptial agreements have to be finalized before a marriage occurs. They become effective as soon as the parties are legally married. Prenuptial agreements are also known as premarital agreements in some jurisdictions. Child custody is a topic that will have to be covered in a divorce involving children. What is in the best interest of the child? What if one spouse wants to move out of state? What are the visitation rights? All of these questions and many more will need answers. The spouses may agree or it may be left to a judge to decide what is the best interest for the children involved. Once the child custody terms are set or agreed upon, future modifications can be made. A Texas family court is able to modify a child custody or parental visitation judgment or order either conferring or limiting parental child custody or visitation rights when the circumstances of either the child or the parent affected by the order or judgment have “materially and substantially” changed. All parents, regardless of if they are married to each other, must support their children financially. In Texas, child support is calculated by multiplying the paying parent’s net income by a percentage that is set in the guidelines. Texas child support laws require the non-custodial parent to pay support based upon their annual earnings. There are many common questions regarding child support in Texas and it is important to have a knowledgeable, experienced attorney on your site during the difficult time of going through a divorce and determining child custody, child support and the division of property. If you have any questions regarding divorce in Texas, Child Custody, Alimony, Child Support, prenuptial agreements or any other aspect of Family Law, please request a FREE consultation.